What to do at Halong Bay at night? Home / Blog / What to do at Halong Bay at night? Even though Halong Bay junk is not an ideal nightlife destination, this coastal city still offers you some amazing places to enjoy the gorgeous views at night while having a good drink. The ideas of enjoying a diversifying Halong nightlife will give tourists a different view of Halong, apart from its jaw-dropping scenes and landscapes.This coastal city’s nightlife has attracted a large number of local people and travelers alike to visit to spend their holidays. 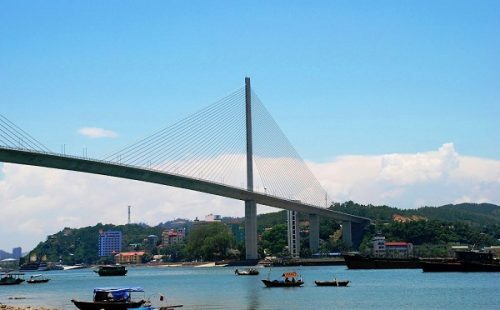 Halong City, which beams with various activities at the odds hours, offers some noticeable options of nightspots, which are well worth visiting. pubs, bars, nightclubs and casinos are some of the fashionable nightspots of this city. Most of the nightclubs in Halong Bay are open for customers until late hours. In all the bars and pubs here, you can enjoy extremely relaxing ambience to sip your favorite drinks. 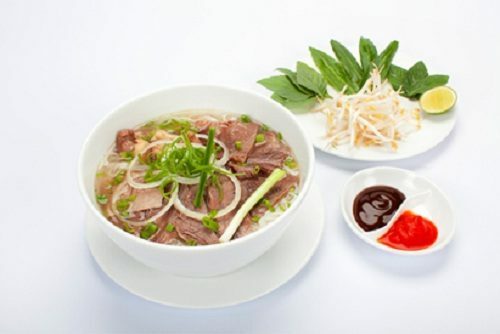 You can sample a wide variety of Vietnamese and foreign drinks in the waterfront venues. 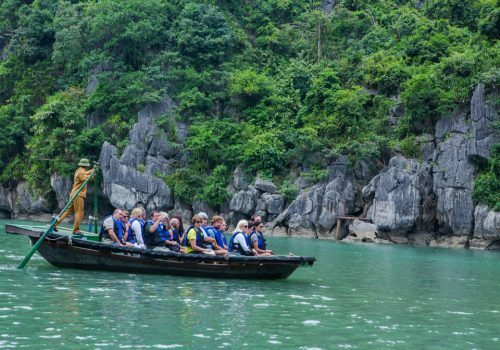 There are many activities for you to take part in from staying on board in the evening to traveling around Halong by cyclo. It can be a romantic idea to just enjoy the evening by spending time at the waterfront venues when you do not cruise around Halong Bay. 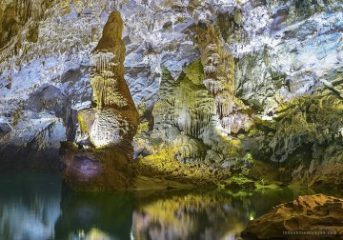 Even though the choice of nightlife in Halong Bay is limited, there are still a few great places to visit. In such an awesome setting it is really not difficult to spend a night to remember for such a long time. Flightless Bird Café should be one of the most popular Halong nightlife destinations among international travelers. Here, they will definitely have an amazing chance enjoy the most cooling feel of nightlife in Halong. Taking a comfortable seat on the balcony on the second floor, then you surely cannot take your eyes off spectacular harbor view of charming Halong City. Flightless Bird Café is such a good choice for those who want to get some information about Halong Bay, and especially, exchange books. Location: right on the major street of Cat Ba Island. 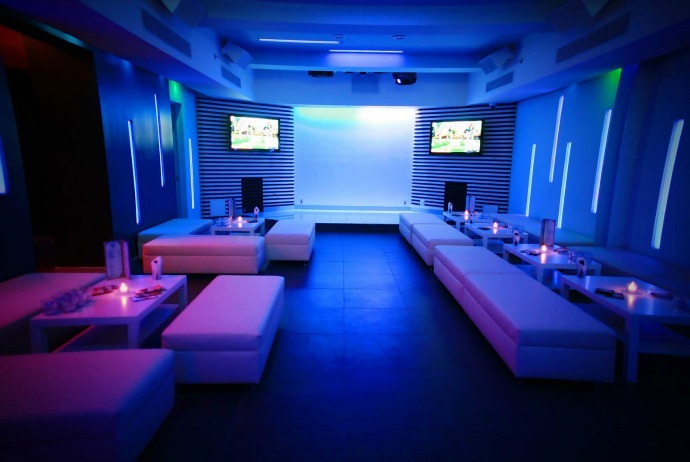 La Plaza Bar and Lounge is one of the most interesting music venues within a hotel which is well-worth your time visiting. Housed in Halong Plaza Hotel, this bar serves all customers with an extensive array of snacks and drinks. It is such a great spot for them to flow their soul with traditional Vietnamese music together with modern due band. So, what could you wait for more from such an awesome place like this of nightlife in Halong City? 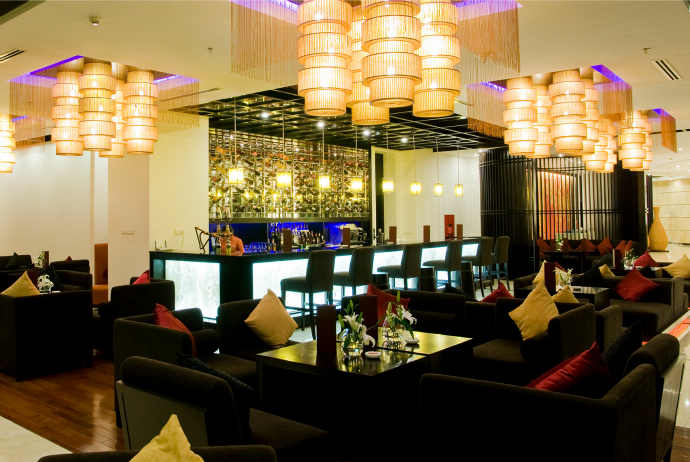 As its name suggests, Lobby Lounge Bar can only be found in Hotel Novotel in Halong Bay. With 24-hour services, this hotel serves customers from breakfast until dinner. 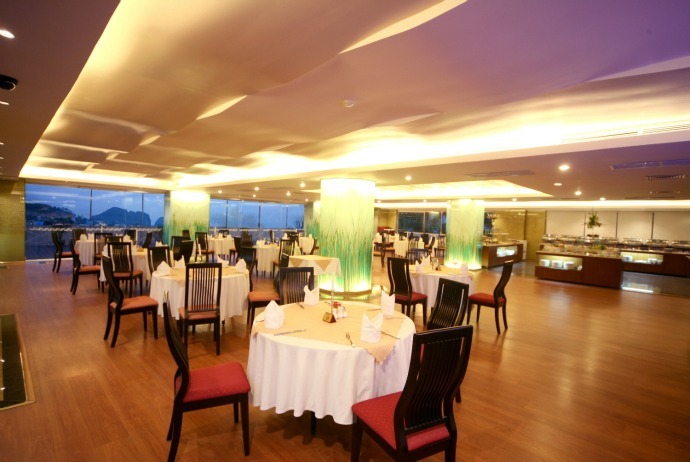 It is stylish and friendly background that makes Lobby Lounge Bar absolutely outstanding from others in town. Lobby Lounge Bar, which offers wonderful view of sunset over Halong Bay, is such a good option for those who want to have a casual meeting with their friends. In addition to the great view, here, you can also relax with live music, which always begins from 6.00 PM. Location: No.160 Halong Street, Halong City, Quang Ninh Province, Vietnam. Regarding to exciting nightlife in Halong, bars are the ones that could show all travelers how the nightlife goes around this beautiful coastal city. 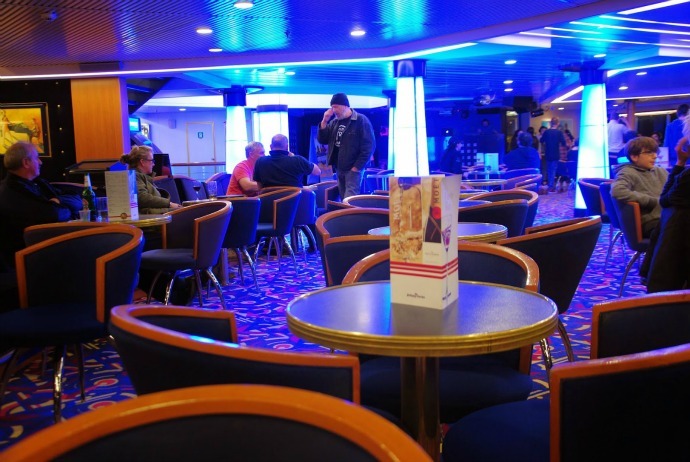 The Karaoke Diamond Club is one of the most popular places for travelers to enjoy at night. At night, it is rather noisy and particularly keeps guests busy with excitement. Light, music and dancers are everywhere and give you a retreat from the bustle and hustle of daily life. Here, you could express yourself as much as you like. Moreover, all professional and attentive staffs here are willing to offer you the best service. Location: Huynh Thuc Khang Street, Halong City, Quang Ninh Province, Vietnam.